Yesterday, I sent the wine guy on a shopping mission to purchase ingredients for Sangria. We have a number of Pinot Grigio magnums to use up and neither of us are big white wine drinkers. The alternative…. SANGRIA!! You can use all types of fruit. I happen to select the following. 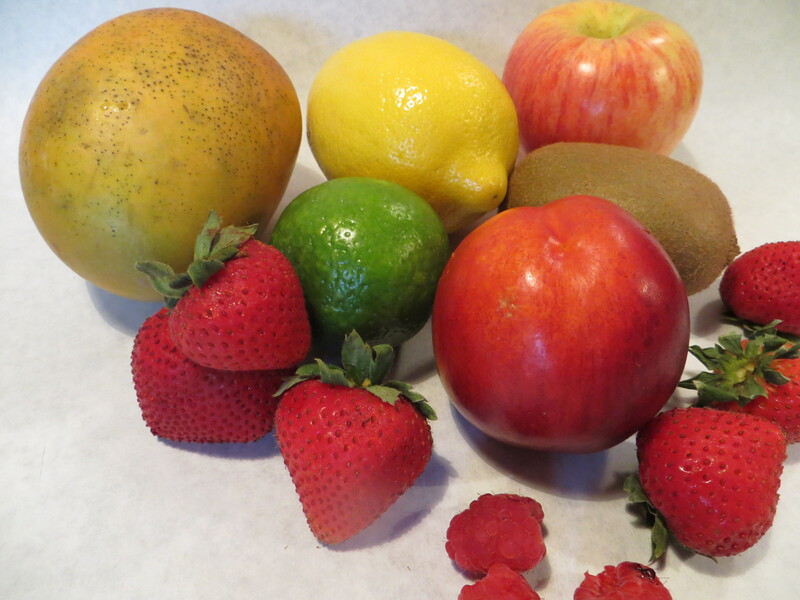 My best suggestion on your choice of added fruit is to make it colorful. That’s part of the appeal of Sangria. 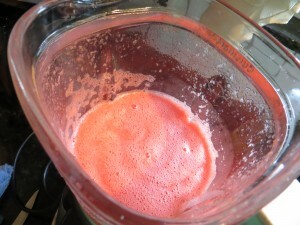 Fresh strawberries, cut larger ones in half, otherwise leave whole (cut off green stems). You will want at least a pint of strawberries. 1 mango sliced or cubed. You may want to cut in half before slicing. 1 nectarine or peach sliced or cubed. 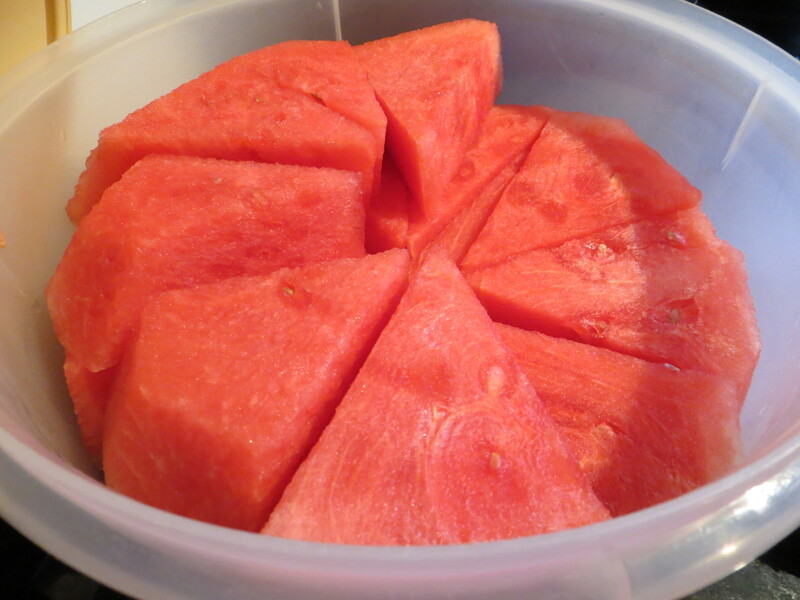 You may want to cut in half before slicing. 1 Kiwi, peeled and sliced thinly. Fill a large punch bowl or glass pitcher with ice (about 1/3 full). Add the liquid ingredients and lemon-lime slices. Add the sliced/cubed fruit. 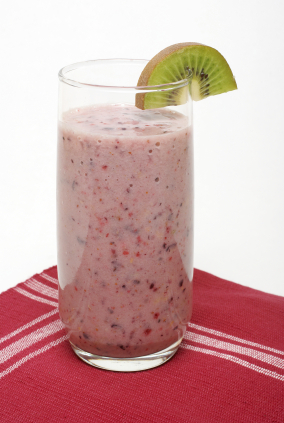 You will need to “eyeball” how much fruit to add. 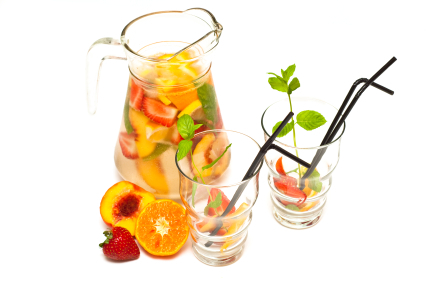 You don’t want to add so much fruit that it becomes impossible to ladle the sangria mixture into serving glasses. There are many other options in making Sangria. You can use orange slices, chunks of pineapple, fresh blackberries or add sprigs of basil or mint. Experiment to find you own special mix and enjoy! The only MUST, serve in a clear glass to display the colorful mix (cocktail straws are a nice touch). Substitute Pinot Grigio wine for another bottle of lemon-lime soda. 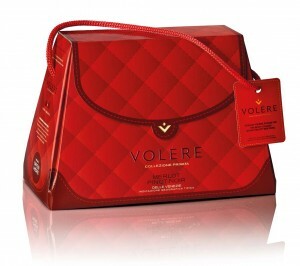 A Purse Filled with Wine! The wine-guy sent me this photo of the newest addition to the company’s wine portfolio. 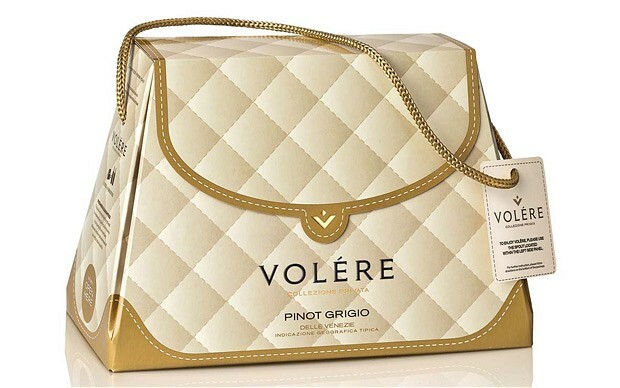 Wine box purses. 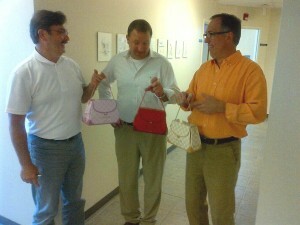 I love that my honey-man is toting the pink purse. Several varietals are available. 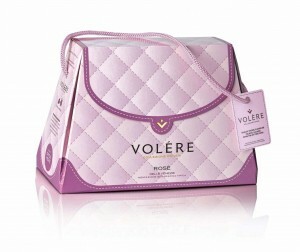 The pink purse is Rose, cream color is Pinot Grigio and red color is Pinot Noir/Merlot. I can’t wait to take a couple of wine purses to my next Bunco event. The girls are going to love them. 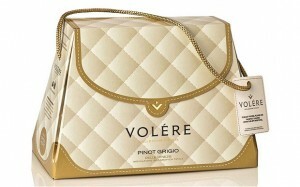 These wine boxes were first showcased on The View, April 28. The winery went public May 1, 2012. The wine-guy informed me they are flying off the shelves. At a cost $13 each, why wouldn’t they? Blimpy Girl gives the wine purse / handbag a big thumbs up! Bachelorette parties, wedding showers, Bunco nights or just a girls night out, these purse wine boxes are portable and fun. This weekend we are experiencing cloudless, sunny skies with temps in the upper 80’s to mid 90’s. As the wine guy and I prepared to cruise the lake on our pontoon boat, I had to decide what would be my drink of choice (besides an abundance of water!). I had plenty of fruit hanging around that needed my attention. The lone pathetic banana in my fruit bowl was starting to draw fruit flies. The “ah-ha” moment came when I spotted a bottle of Pinot Grigio chilling in the fridge. 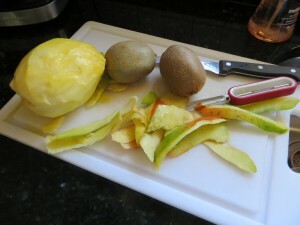 I pulled out my blender and starting prepping for my new summer drink. 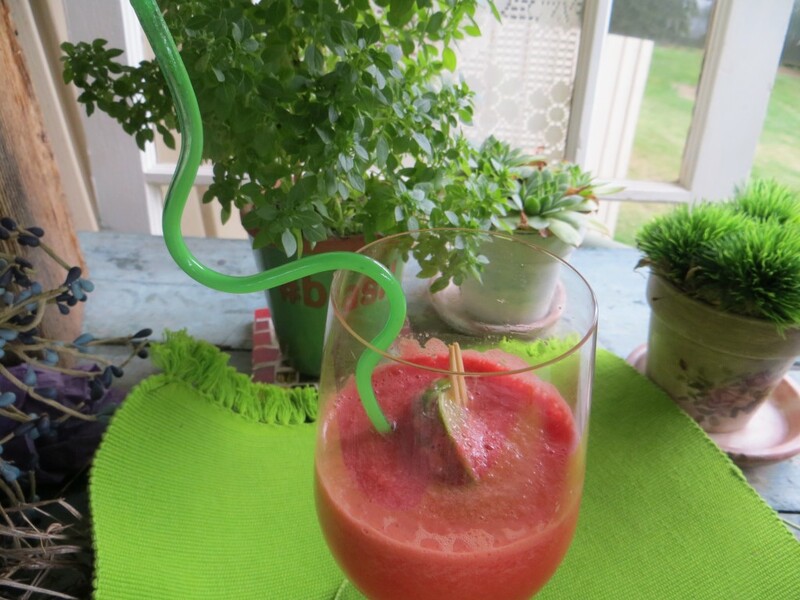 A Pinot Grigio Smoothie. 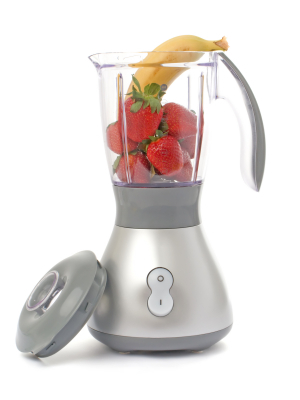 Throw everything into the blender. Mix until smooth. TIP: Go for the least expensive Pinot Grigio you can find when making a smoothie. You aren’t pairing the wine with a food dish, you’re simply adding the wine for it’s melon to pear and subtle tropical or citrus fruit components. OK, let’s talk calories. This recipe fills around six 8-ounce glasses at 158 calories per serving. If I pair this with a green salad (low-cal dressing), I have an entire lunch in the neighborhood of 200 calories. St. Patrick’s Day is nearing and special things are in the works for the grand kids. Each year the kids head to Detroit for the St. Patrick’s Day parade. Their “other” grandpa is a retired Detroit fire chief and the firemen walk in the annual parade. I think there’s this unwritten rule you must be “Irish” to be a fireman; and if not, you’re a sanctioned Irishman on March 17. 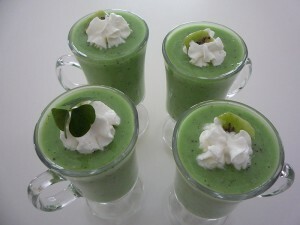 Leprechaun Smoothies are on the breakfast menu. 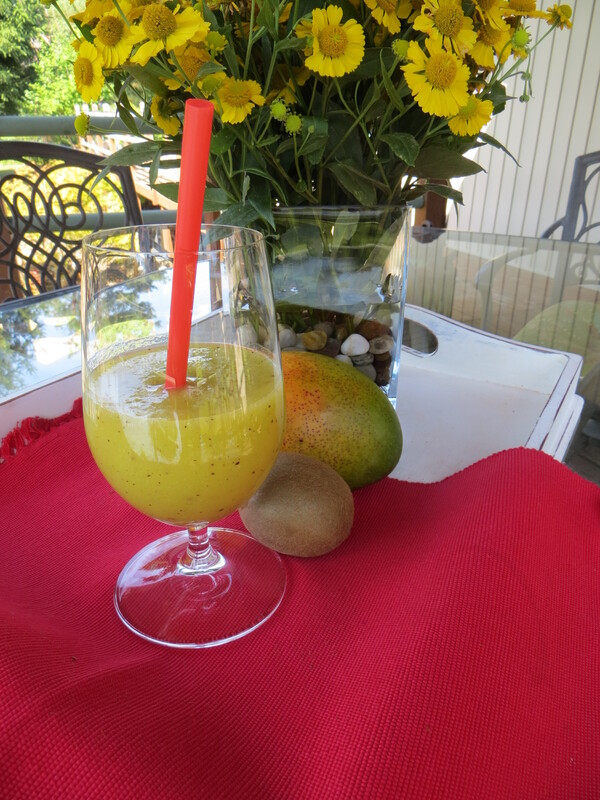 I found this recipe at The Quail’s Nest Blog site and revised it to include spinach, apple juice (instead of orange juice) and limeade in place of honey. My recipe is shown below. Next on the St Paddy’s Day countdown are goodie bags for the grand kid’s classmates. I need 75 (yep, I’m a crazy woman, but that was established about 20 years ago!). 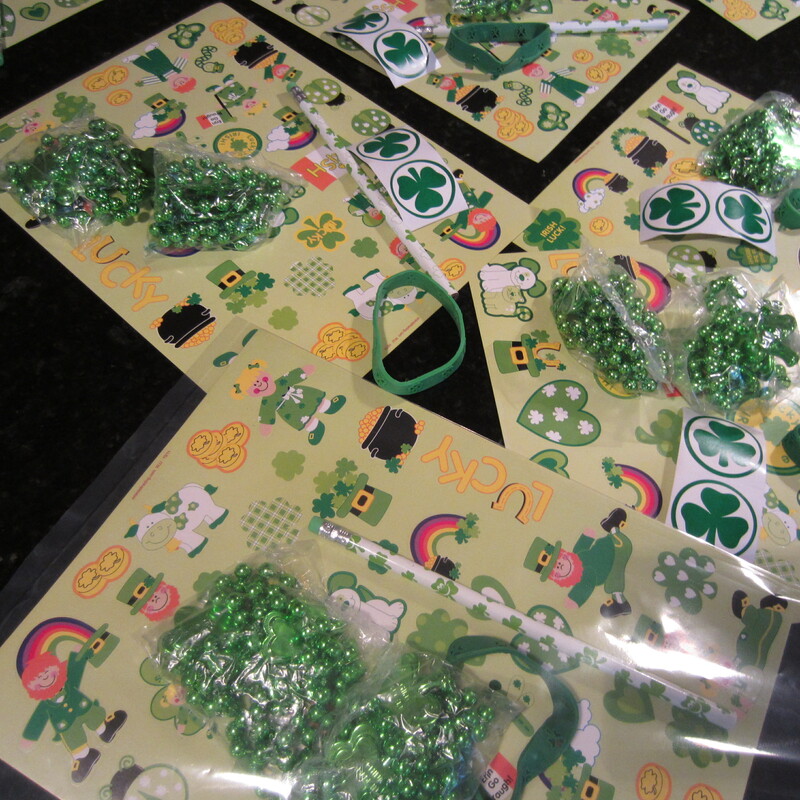 Goodies bags include a sticker sheet, shamrock beaded necklace, pencil and wrist band. These are being inserted into green tin pails. Grand kids will wear Shamrock suspenders while dispensing the goodies bags to their classmates. Blimpy Girl is preparing a Green Leprechaun drink (Lemonade with green food coloring) and Shamrock cookies for the school party snack. 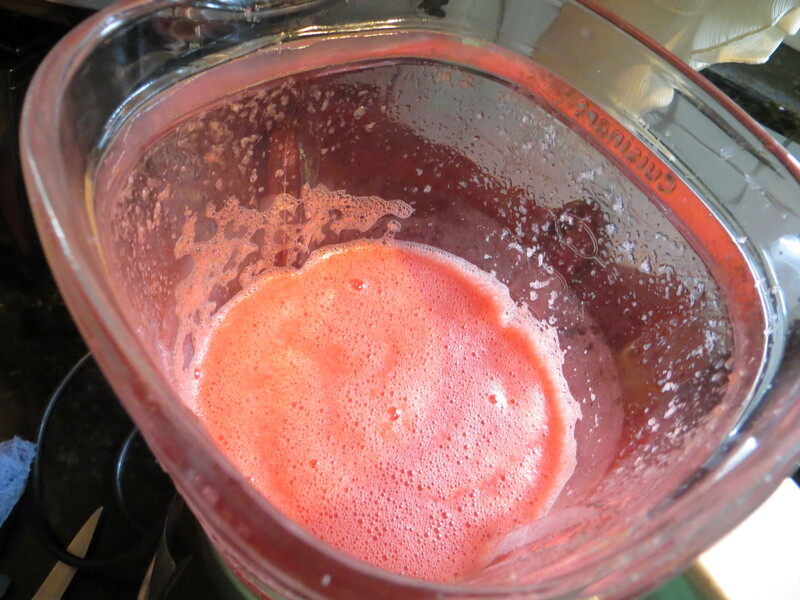 Mix everything in a blender and pulse until smooth. Pour off into serving containers. 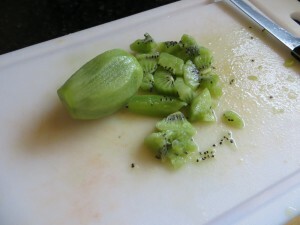 Freeze the kiwi and banana before adding to the blender.